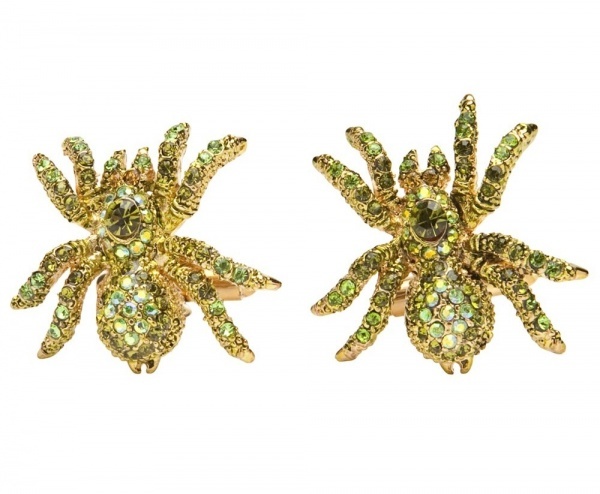 For those unafraid of creepy crawlers, Paul Smith offers these crystal spider cufflinks. Consisting of green and yellow pave crystals with gold plated links, there’s nothing to fear with these unique accessories. Measuring 3 cm long, add some life to your cuffs by getting these online.